Dealing with a generation of mobile first customers requires a different approach. The first generation of true mobile and digital natives, Generation Z (16-22 year-olds), is now entering the workplace. This generation is set to become the biggest demographic segment and as such, it has the power and potential to reshape the global market over the next few years. However, as a recent global survey conducted by Censuswide Research on behalf of Brite:Bill, an Amdocs company found, communication service providers are failing to address this market segment in many ways. While service providers must increasingly rely on the customer experience as their key differentiator in a hyper-competitive market, the survey of more than 3,000 consumers revealed a huge gap between fast-changing customer expectations and the customer experience reality, particularly when it comes to billing. Billing is a key component of the all-important customer communications process, yet it remains the least evolved part of the digital experience. Service providers could use the monthly mobile phone bill much more strategically to build their relationships with existing customers – and by failing to adapt to new customer needs, they are missing a huge opportunity. 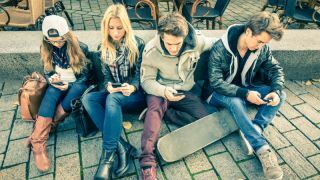 Heralding a sea change in customer attitudes, for Generation Z, mobile usage is a lifestyle, not a necessity. There is a marked difference when it comes to their behaviours, expectations, needs and wants compared with other generations. They had mobile phones in school, making mobile their first choice for search, sharing information with others, shopping, and consuming media. Generation Z shows noticeably different usage patterns of mobile applications and social media. But, the real shift is in the way they communicate. To overcome the language barriers they encounter in the global digital world, Generation Z has begun to create a highly visual communication style using emoticons, memes, photos and videos. They typically “see” rather than “read,” which explains the popularity of services such as Instagram and Snapchat. They say a “picture is worth a thousand words”: for Generation Z, this is quite literally the case. Communications service providers need to address this if they want to attract and retain them as loyal customers. Applied to bills, this means they have to present the relevant information about services, usage and charges more graphically and interactively. The Brite:Bill survey underlines this, with a third (66 per cent) of respondents saying they want the information they receive to be more personal and visual, compared with around a fifth of respondents over the age of 35. Most service providers already have some self-service options for their customers such as customer portals or FAQs on the website, but while other generations may be slower at adopting self-service, for Generation Z it is the preferred way of interacting with their service provider. This means self-service needs to evolve to meet the needs of this new growing customer segment. How? As independent learners and explorers, Generation Z customers are open to trying new things and used to discovering the answers to their questions for themselves. Help should be at hand, but providers must be prepared to offer ideas for how to solve a problem, rather than presenting the solution or answer itself. From a billing perspective this means that Generation Z customers want more of the billing information to be navigable, drillable and discoverable, so they can analyse their service consumption themselves and understand how they are being charged. There is less of a need to staff call centres, as Generation Z customers are more open to interacting with automated systems and chatbots. In fact, automated systems that allow immediate and round-the-clock access to information and services suit their on-demand lifestyle much better as they do away with the traditional work-day boundaries. In the survey, half of Generation Z respondents said they would like access to a chatbot for bill enquiries, and a third agreed that chatbots are a good alternative to traditional customer care touchpoints. With so much information at their fingertips and the ability to compare services and products anytime, anywhere, it is no wonder that Generation Z customers are savvy shoppers. Perhaps more so than any generation before them, they are used to searching for deals, comparing and contrasting products – and doing all of this online. Service providers will have to consider how they respond to this need and how they can benefit from it. For example, Brite:Bill’s survey showed that customers generally want more clarity and advice from their bills and, as cash-savvy bargain hunters, over half (59 per cent) of Generation Z customers would like their bill to tell them how they can save money. And in line with this, 55 per cent expect a clear presentation of what they spend the most or least on. Keeping customers informed and ensuring that customers’ service bundles are in line with their evolving needs is important as it avoids the end-of-contract doubts that customers often have about the value the provider is delivering. With nearly a third of customers overall saying they have contacted their service provider due to billing issues, and billing calls accounting for up to 60 per cent of calls to call centres, service providers need to find ways of making the communication process smoother and faster– or avoiding unnecessary calls altogether by presenting clearer breakdowns of the charges before queries arise. Frustration with the billing process is a well-known cause for churn, which can mean significant losses for operators. According to the survey, over a third of consumers have switched communications service providers in the last two years. Of these, 44 per cent had experienced billing issues. However, there is a fix – and it’s listening to changing customer needs and adjusting the billing process accordingly.